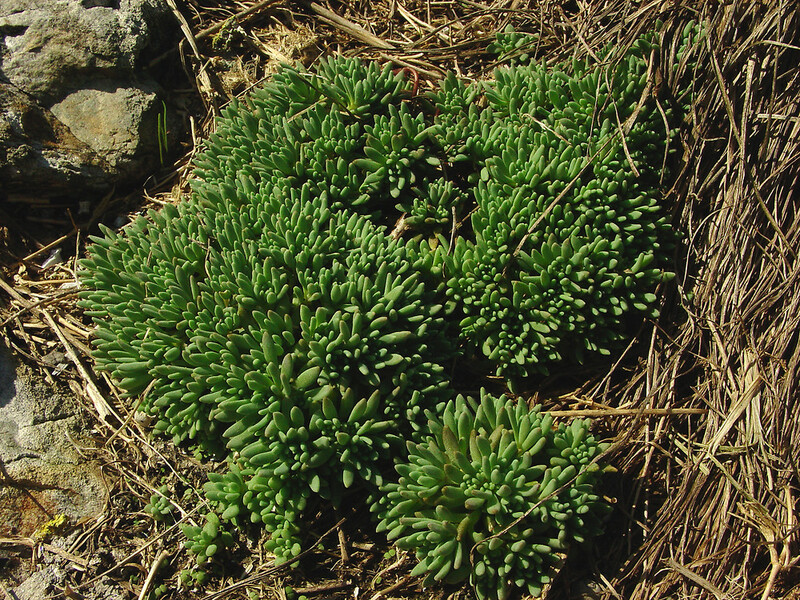 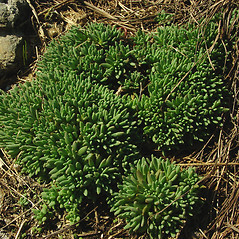 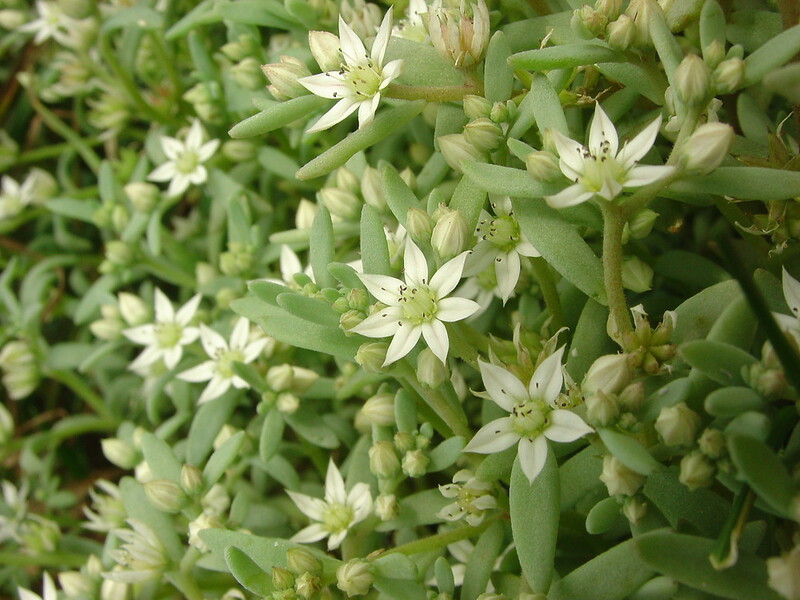 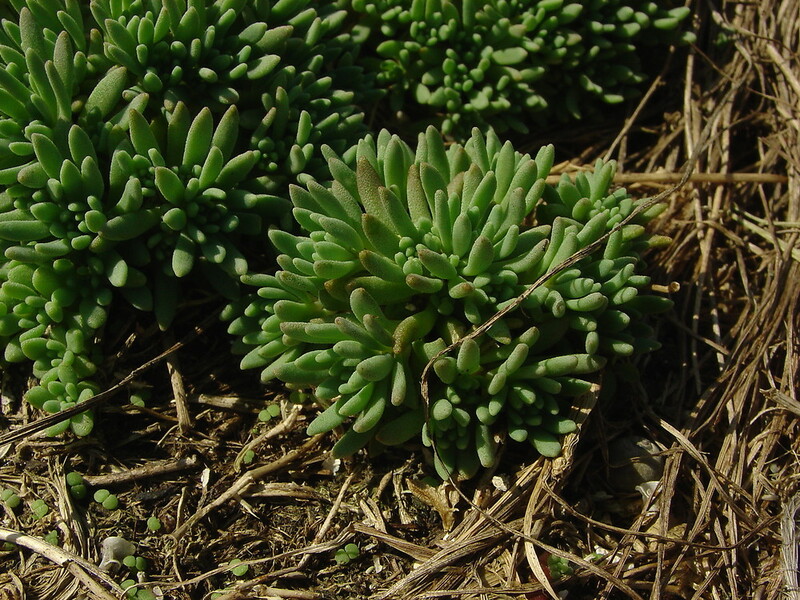 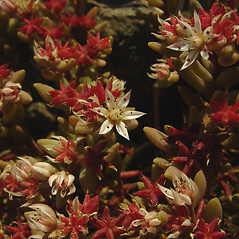 Spanish stonecrop is native to southern and central Europe and southwestern Asia and was first collected in North America in 1880. 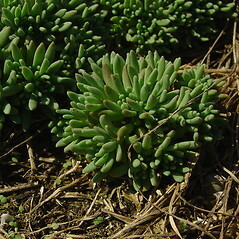 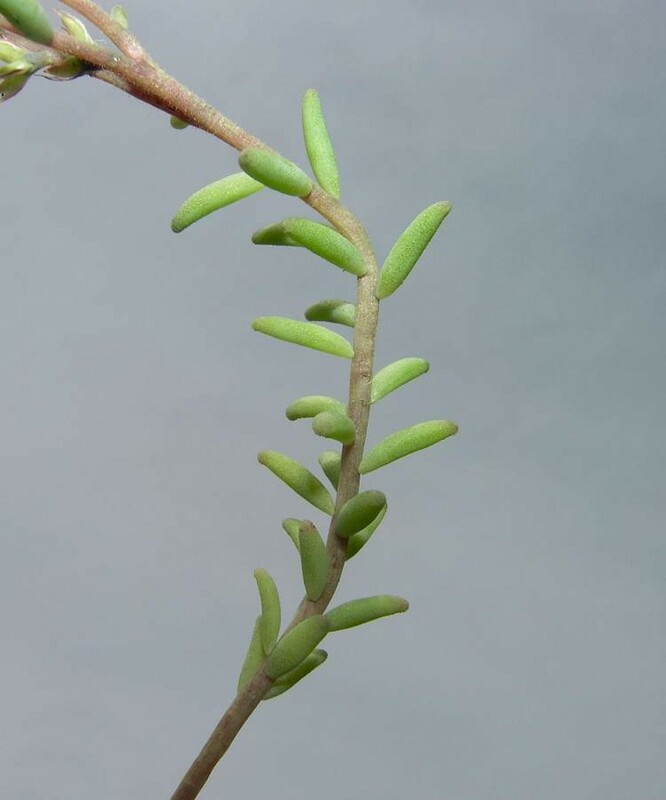 It is occasionally cultivated as a small rock garden plant, and has been collected in New England in Massachusetts, Maine and Vermont. 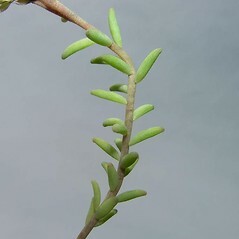 upper stem and axis of inflorescence glabrous, petals yellow to yellow-white or entirely white, and flowers with erect follicles (vs. S. hispanicum, with upper stem and axis of inflorescence stipitate-glandular, petals white and usually some with a pink or green midstripe, and flowers with horizontally spreading mature carpels). 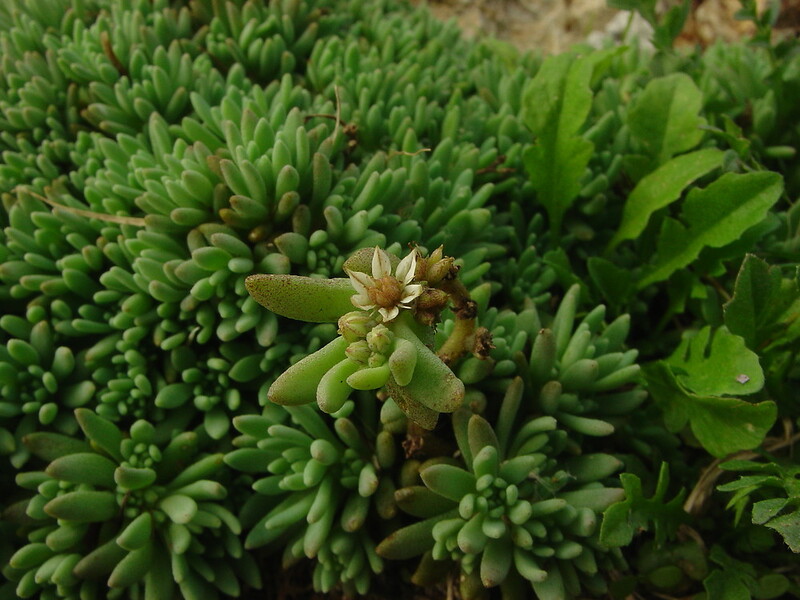 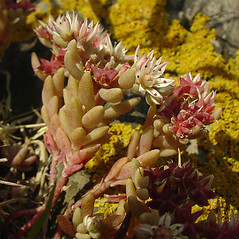 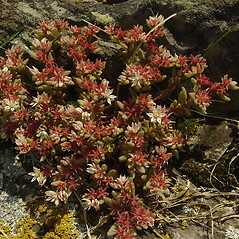 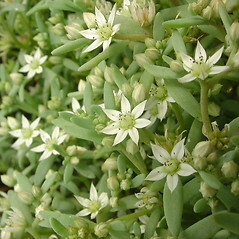 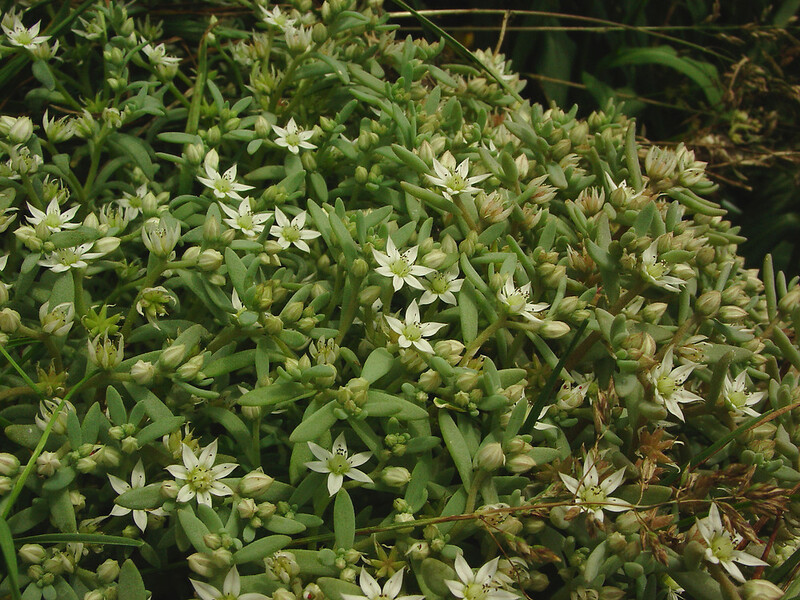 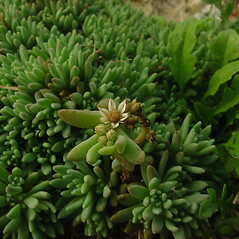 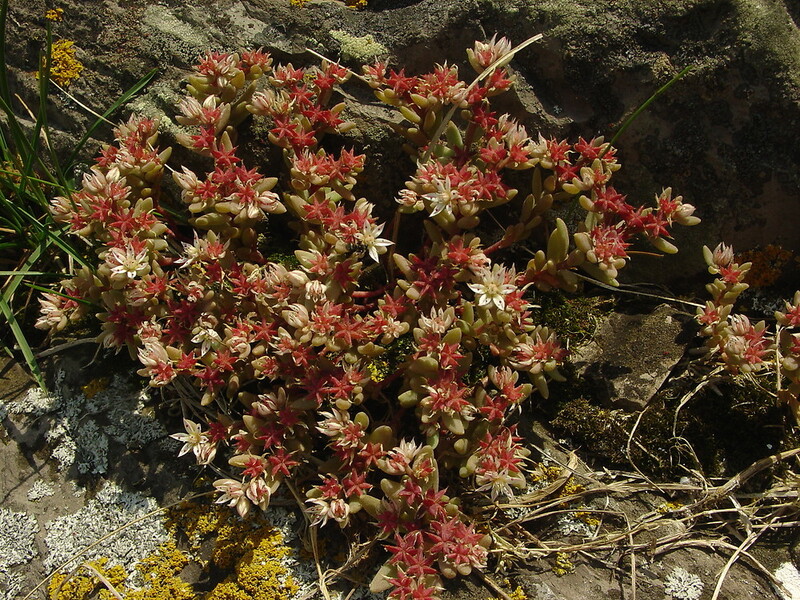 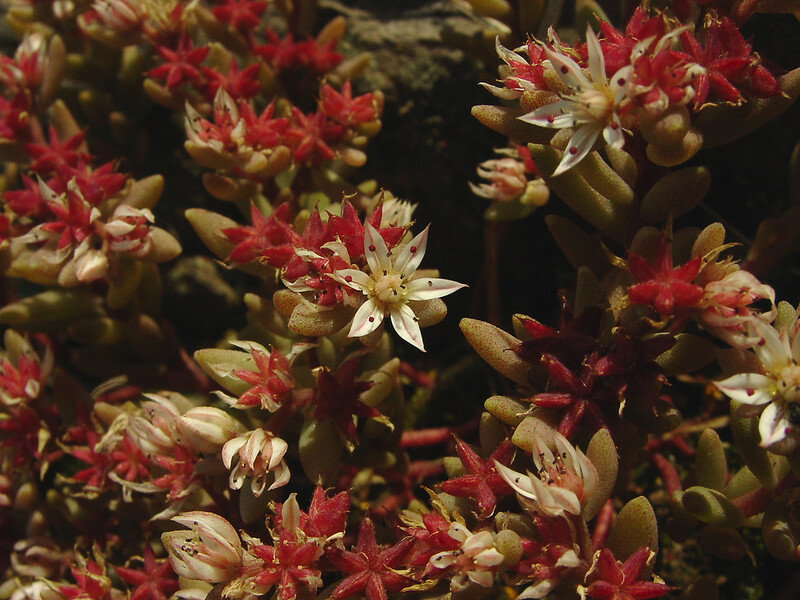 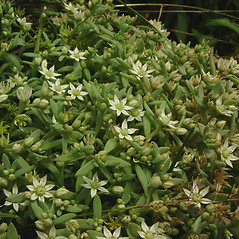 Spanish stonecrop. 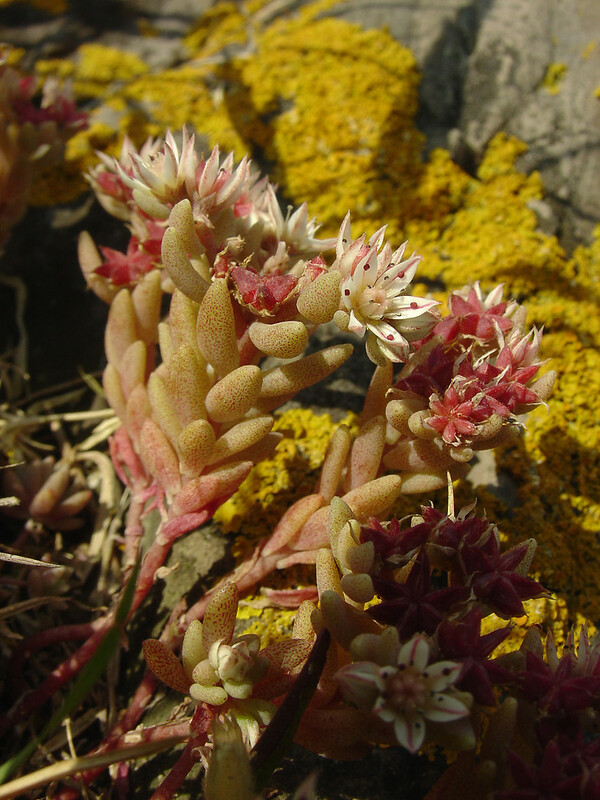 MA, ME, VT. Gardens, fields, rock outcrops.